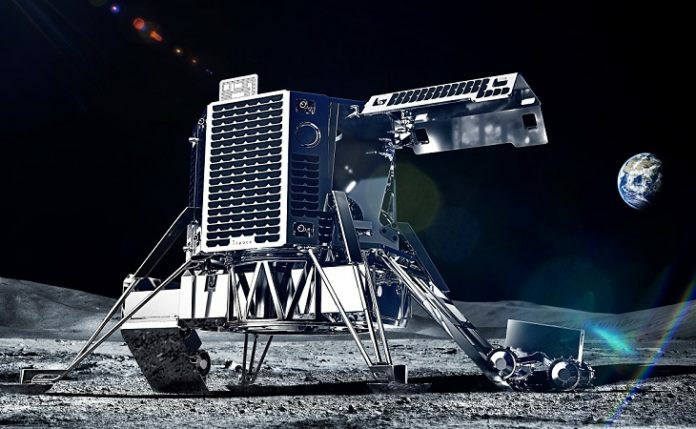 ispace, a Japan-based company developing robotics for lunar delivery and resource exploration, announced today that SpaceX will be the launch provider for its first two maiden voyages to the Moon scheduled for mid-2020 and mid-2021. The company’s first two lunar missions will be carried out under the program name HAKUTO-R (HAKUTO-Reboot), a reference to Google Lunar XPRIZE finalist Team HAKUTO, which is now managed by ispace. The two missions will carry a lunar lander and lunar rovers, both as secondary payloads on SpaceX’s Falcon 9 rocket. The first mission, targeting mid-2020, will attempt to inject the lander into a lunar orbit and relay lunar data back to Earth. The lander, designed to be small and lightweight, will be able to carry 30kg of payload. The second mission to be launched in mid-2021 will aim for soft lunar landing and deployment of rovers to collect data from the lunar surface. This will be Japan’s first lander on the Moon, and serves as a test mission to transport payloads to the Moon and send lunar surface data back to Earth. Following that, ispace will attempt seven missions in 2022 in order to construct an Earth-Moon transportation platform, centering on polar water exploration, which will be expanded into a full-scale industrial platform from 2023 onward.